Chutney is a side dish most popularly used with tiffins and meals all over India. In modern culture, sauce and jam are trying to take over the place of chutneys. But still, most people like the age-old chutneys like idli chutney, Pudina (mint leaves) chutney, Dhaniya (coriander leaves) chutney, ginger chutney, etc. All above chutneys and many more chutneys have their own special tastes and are quite healthy also. There are many blogs dealing with these chutneys. But, I am presently concerned with some green, healthy chutneys most of which may not be known to the modern generation and which may not be found on the internet. These green chutneys are made from the fiber (skin) of green vegetables and leaves which are beneficial for a better blood circulation in our human bodies. The skins/peels and leaves of these vegetables contain fiber, calcium, potassium, and iron much needed for our body. 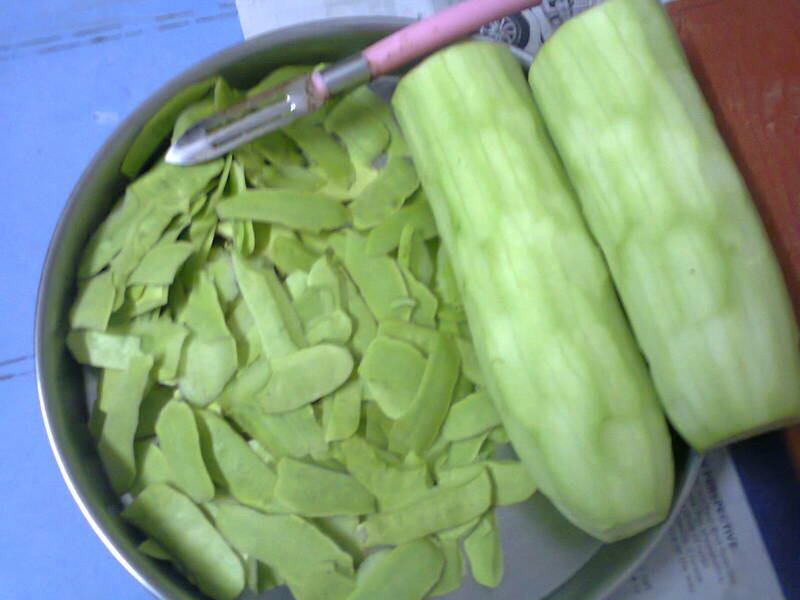 Most of us simply do not the value of it and so, without hesitation, throw away the skins of bottle-gourd, ridge-gourd, or the outer leaves of cabbage, etc. which should not be thrown away like that. But one should know that consuming as much of fiber as possible is essential for the health of our body. Starch, proteins, and oils stick to our body cells and cause indigestion and gastric problems. Consumption of fiber prevents these smooth substances from hampering our digestion and creating fat. Fiber-rich food enables a free circulation flow and thereby controls indigestion and any accumulation of sticky material in the body. That is the reason behind the need for an intake of as much fiber as possible through the consumption of some vegetables and fruits along with their skins and by using the edible vegetable skins in preparation of chutneys. Here are some easy tips to prepare such fiber-rich green chutneys as described in the following paragraphs. Wash the ridge gourd and peel the skin with a peeler. The skin peels may be cut into medium pieces so as to be smaller than the grinding jar size. If you want, you can make chutney of the entire gourd. In that case, you may not peel skin separately. 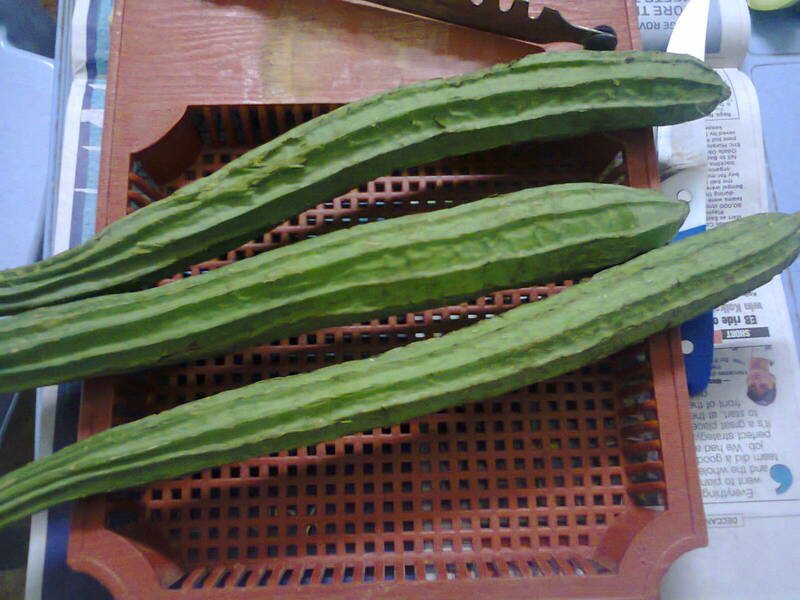 You can cut the whole gourd into small pieces along with its skin. But, if you are making a curry of the gourd and do not know about utilizing the skins, this is the method for utilizing them by making chutney. You keep ready some red dry chilies (3 to 4 chilies for a half kg. gourd peels), mustard seeds, and Cummins. Now, light the stove and place the hollow pan (kadhai) on the flame. Pour one tablespoon oil and heat it. Then add the chilies, mustard, cumin seeds, and fry till the mustard makes the splitting sound. Next, add the cut pieces of gourd or gourd skin and fry for some time say 2 minutes. Then, remove the pan from flame and leave it to cool. After 3 to 5 minutes, you can grind it. Put the fried material into the jar, add salt, turmeric powder and 5 to 10 grams of tamarind as per your likings and grind the mixture into a paste adding some water for a better grinding. One minute is enough for grinding. A little bit roughness is good for health. Now your chutney is ready to serve. Remove it into a bowl having a tight-lid. You can store it for 2, 3 days in your fridge for your daily consumption. Use the same procedure as above. Cut the gourd along with skins or peel the skin separately to make curry with the inner material and chutney with the outer skins. It is advisable to add some pieces of the inner material also to the skins (say 100 grams or so) for good taste of chutney. Then fry in the frying pan as above along with red dry chilies, mustard, and cumin. Fry for 1 or 2 minutes and cool and grind in the mixie along with tamarind, turmeric powder, and salt. This chutney may consume less water than Ridge gourd. 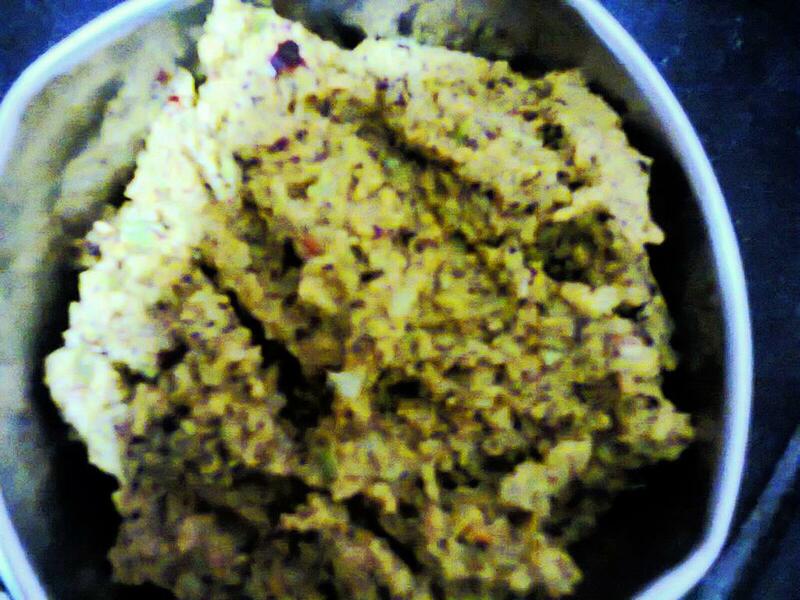 Remove the chutney from the grinder into a container and serve as per needs. You can store this chutney also for 2, 3 days in a tight-lid container. Wash the outer leaves of cabbage by separating them from the whole cabbage upto three or four layers. The remaining cabbage does not need washing. Now cut the leaves into small pieces and also some portion of the cabbage to meet requirements. The balance cabbage may be used for preparing your curry as usual. The cut pieces for making chutney should be fried as per above-mentioned procedure along with the red chilies, mustard, and cumin. Then cool it and grind in the mixie adding salt, turmeric, tamarind. Your chutney is ready for serving. 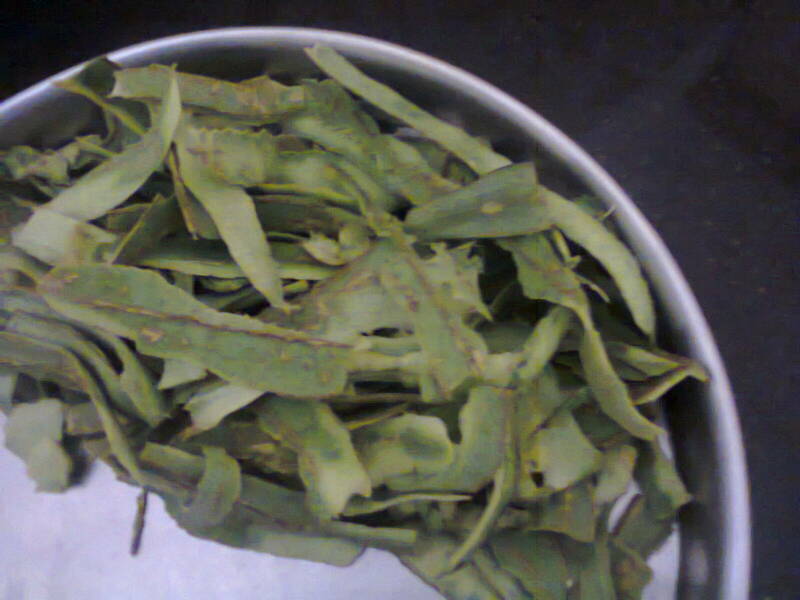 These whole leaf vegetables are also good for making chutneys. Cut the roots portion of these leafy plants and throw them away. Now wash the usable portion. Cut them into pieces. Quantity will depend on your needs and tastes. Chilies can be increased or decreased according to requirement. 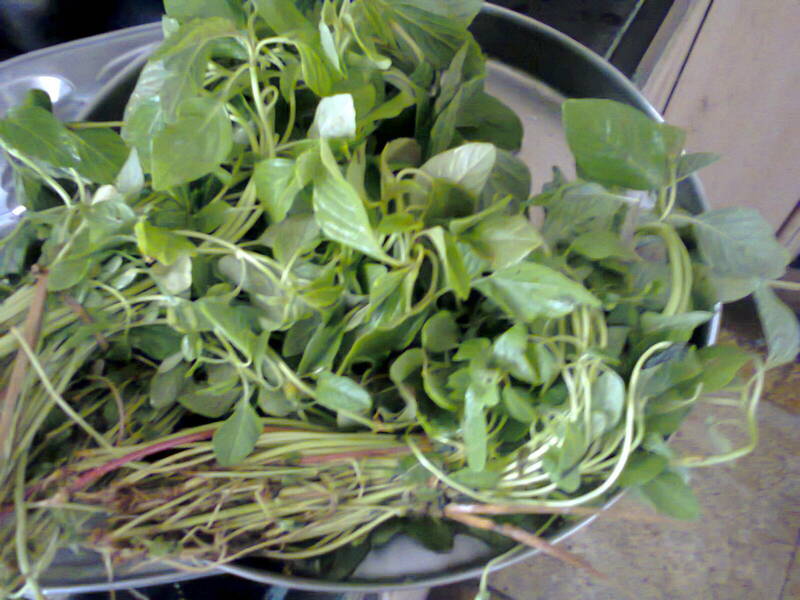 Fry the cut pieces of these leafy vegetables as per the same procedure as above along with chilies, mustard, and cumin. When you fry them, the quantity reduces to one-fourth or so. Then cool the material and grind along with salt, turmeric, and tamarind as above chutneys. All these chutneys are very healthy besides being very tasty and spicy. You can use them with breakfast, tiffin or meals items. Just like you use sauce or jam, use these chutneys in lieu of them or along with them as an extra dish. What you do is simple take a loaf of bread, burger or donut, etc. and touch the chutney with it so that some chutney sticks to it. Then swallow the loaf like anything else. You will feel the difference. A spicy taste will enter into your mouth enhancing your appetite. You will definitely enjoy the taste. Not only for these western food stuffs, but many Indian breakfast stuffs like Idli, Dosa, Vada, Upma, Puri, Paratha, etc. all can be enjoyed with these chutneys joyfully. I and my family members enjoy it very much with our breakfast Idlis very often. It tastes so good, you can't imagine. For those who eat rice, mix the chutney, one or two spoonfuls into a plate of well cooked rice, so that the chutney mixes fully into the whole rice evenly. Now eat the rice with a spoon just like you eat biryani, lemon rice, tomato rice, etc. It will be very good in taste. The quantity of chillies, salt and tamarind, etc. depend upon the quantity of chutney prepared. Water for grinding may be added in two trips so as to make the chutney as solid or liquid as per your choice and for better grinding also. Take care that items do not get too much fried or burnt while frying. The vegetable skins, leaves etc should not get fully cooked or fried. They should be less than half fried so that natural elements of fibre and leaves remain intact to secure health benefits. Do not grind for more time. First grind for 30 seconds, then add water and grind for 30 seconds. It can be enough. The ground paste should contain some rough particles in it to be healthy. So do not grind excess.